This is the only known picture of Bai Bureh, a Sierra Leonean hero and leader of the so-called Hut Tax War against the British in 1898. Rediscovered in 2012 by Gary Schulze, this 1898 photograph by a British lieutenant is believed to be the only existing photograph of Sierra Leone's national hero Bai Bureh. 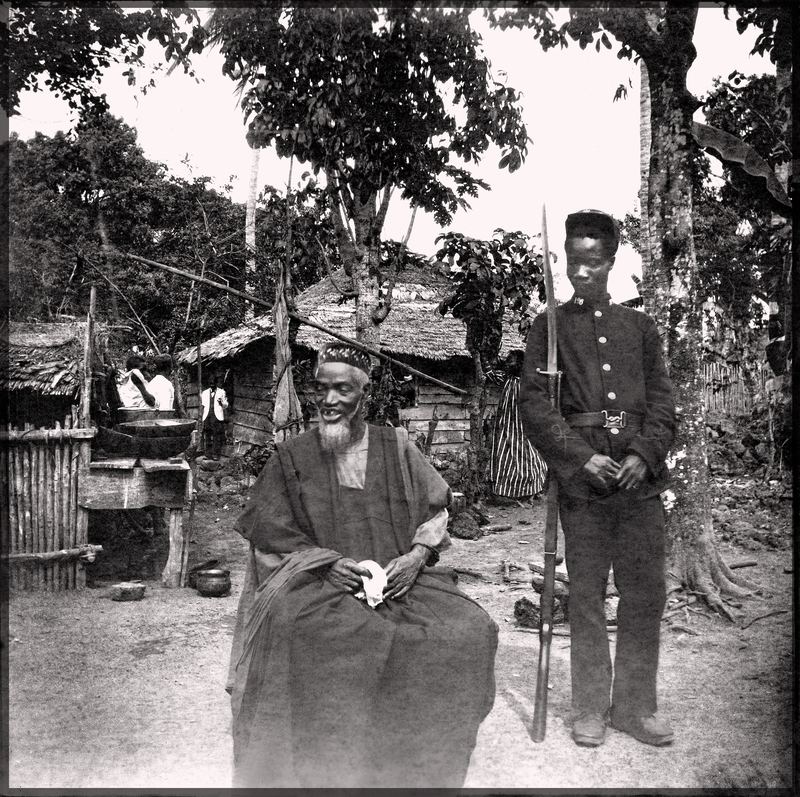 Read Gary Schulze's article "Three Faces of Bai Bureh, the National Hero of Sierra Leone" on the discovery of this unique image in the Journal of Sierra Leone Studies (2015), Volume 4, No. 7. As described above. 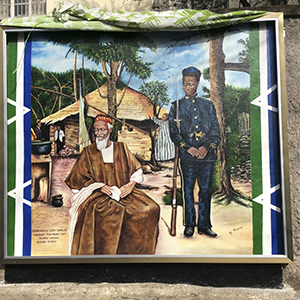 Mural based on the Bai Bureh photo, by Sierra Leonean artist Alusine Bangura. 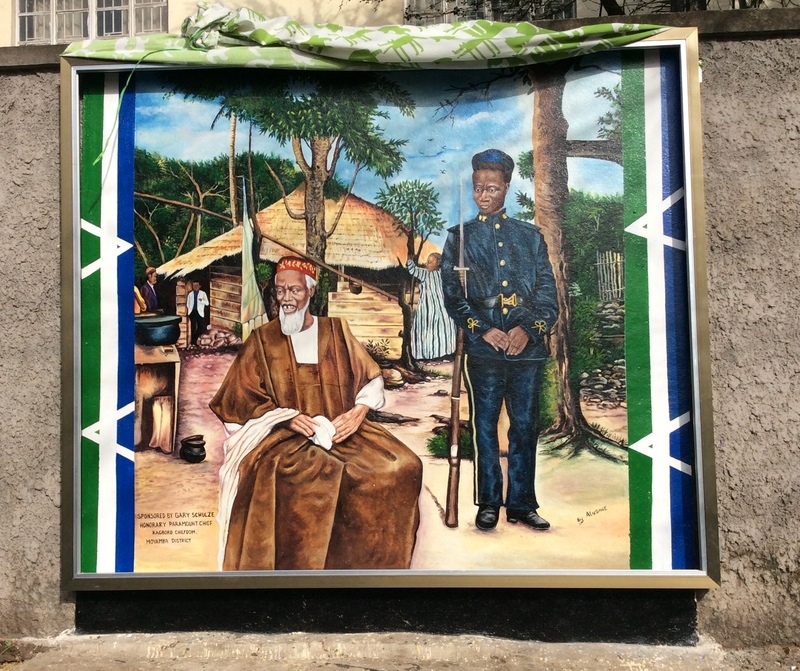 The mural, completed in May 2018, is on the external wall of the Sierra Leone Museum facing Siaka Stevens Street.